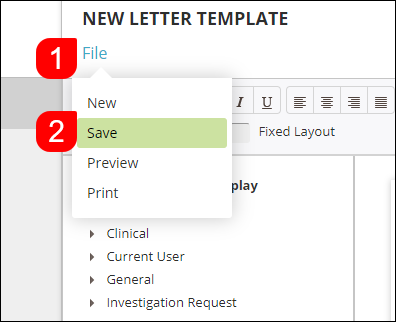 While MediRecords will come with pre-loaded letter templates, you have the option to create your own templates. This tutorial will demonstrate the function. 1. Within Letter Templates, click on New Template. 2. You will be taken to the Letter Editor window. It will also prompt you with a smaller window for you to fill in preliminary details for your new template. A key feature to note is the Sharing Level of the new template. This will dictate who has access to it. 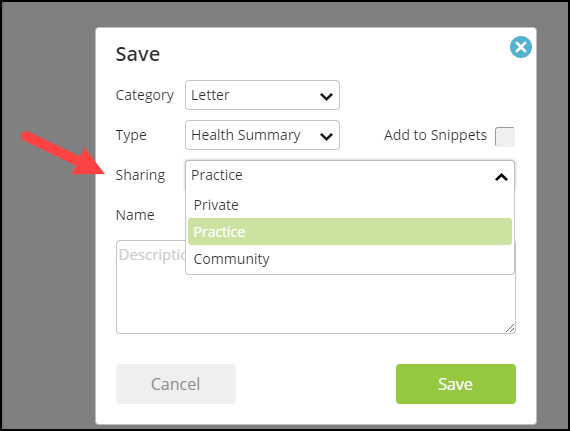 Private will mean only you can access, while Practice will mean all users within the practice can access. 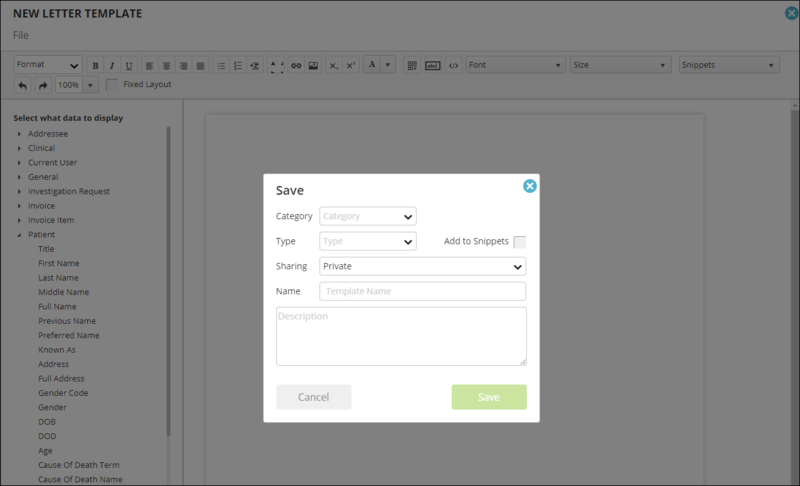 Community means all MediRecords users will be able to use the template. 3. In this example, we want to create a new letter so the following information will be entered. Complete the form and press Save. 4. Once inside the Letter Editor, you can put in many kinds of information. For this test, we will enter the following. 5. We have two options for saving notes in this function. 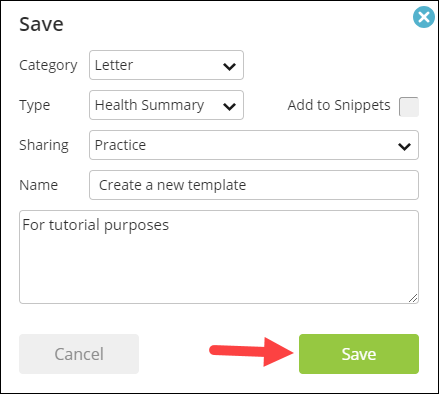 The first is the Auto-Save function, which will automatically save any data entered into the form. You can also manually save your template work. To do this, click File and select Save. 6. This will bring up the small popup from when you clicked New Template. Confirm details and click Saveagain. 7. Exit the Letter Editor by clicking X on the top right. You will now be able to use your newly created letter template. You've completed another MediRecords Tutorial. You should now be able to create a letter template. If this is not what you're looking for, head back to our knowledge base and search for another article.